Clearance Sale on Excellent Books – 50% OFF // FIVE DAYS ONLY (EXPIRED) These books are now at the typical BookNotes 20% off. O ver the last month or so we’ve been on the road a lot, out selling books, and meeting friends and customers. Of course, our fantastic staff have been working above and beyond the call of duty here, caring for our local customers, meeting all sorts of book and information needs. Beth and I enjoy setting up book displays and book nooks at gatherings and conferences, and we hope some of the good folks we’ve met in recent weeks are reading now — we want to publicly thank those who invited, hosted, helped and bought books from us. Let’s stay in touch. We’ve sold books at a college student conference in urban Philly called “Deep Gospel” and a parish nursing event here in central PA; we’ve been out to Western PA twice, once for a conference of pastors and leaders of very small Presbyterian churches and then for the CCO’s always great staff training. 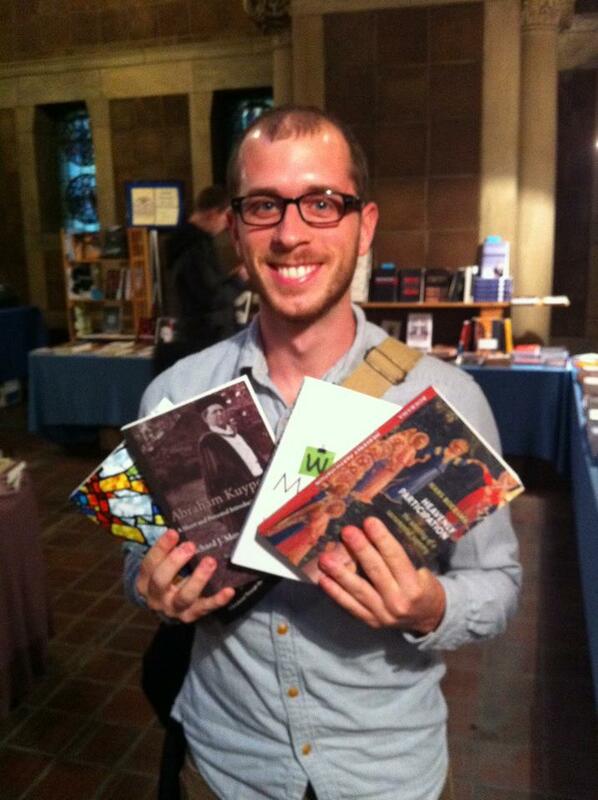 We sold books at a debate between an atheist and a Christian at Messiah College. We’ve flown to Colorado with the Christian Legal Society, and offered resources for a UCC prayer retreat; we had books sent for sale at a conference on ten books that influenced C.S. 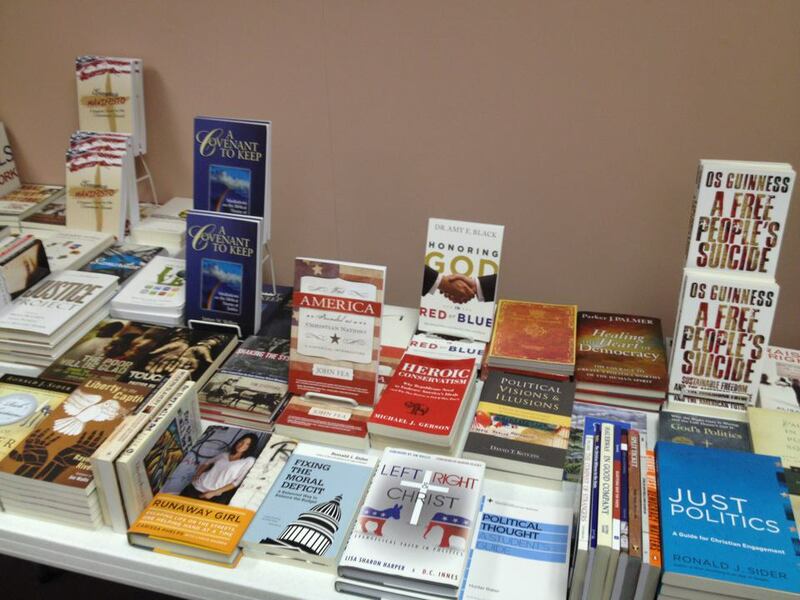 Lewis (in Madison WI — see a list of the ten, here) and had a display at an annual lecture at Church of the Covenant in Erie, PA. (Thanks Seph!) We served our local hospital at a large, professional conference on palliative care, showing books to hospice caregivers and others who work in the field of death and bereavement and the next day we zoomed to resilient NYC in the middle of the night to get set up for the important conference sponsored by Redeemer Presbyterian’s Center for Faith and Work. In a day or so, we’ll help honor Dr. Michael Gorman at his inaugural lecture as New Testament professor at St. Mary’s Ecumenical Institute in Baltimore (a great place to pick up seminary level theological credits) and engage in a symposium with the likes of Richard Hays and Katherine Grieb. We look forward to meeting their new dean, D. Brent Laytham, whose brand new book, iPod, Youtube, Wii Play: Theological Engagements with Entertainment (Wipf & Stock; $24.00) is just out. And that’s just the last few weeks. Yep, we get around, and it is exhausting. But it is a great privelege, we realize, to see what God is doing among so many different sort of folks, in so many interesting places, and to offer useful resources. About that: well, we’ve got left-over books, now — a lot of them. â€¨There is no shame in us admitting that we have some inventory (that’s retail-speak for great books!) that we ordered in extra quantities for these events that we now want to offer at a deep discount. We never know what we’ll have time to announce at these gatherings or what speakers will be promoting or what customers will quickly snap up. Sometimes we order a big batch, hoping to announce and promote them, and then we don’t get a chance. Or, I forget. (Yep, it happens, in the stress of the moment at these gigs.) It makes sense to sell these to you below our cost, rather than shell out to UPS to send ’em all back. You can get a bargain and we pay less penalties in return fees. Yep, this is the time-honored practice of a clearance sale. Less than one week only. Please know that these are not losers that didn’t sell or sub-par books we’re trying to unload. In many ways, these are real favorites, titles I ordered a lot of because of my fondness for them, for one reason or another. You are a book lover. These are half off. Let’s get going. Below you will see the link to take you to our secure website order form page. S peaking of Dying: Recovering the Church’s Voice in the Face of Death Fred Craddock, Dale Goldsmith, and Joy Goldsmith (Brazos) $19.99 I am amazed at how such a non-negotiable matter, and such a vexing one, is so little talked about among us. How do we faithfully engage with those who are dying? 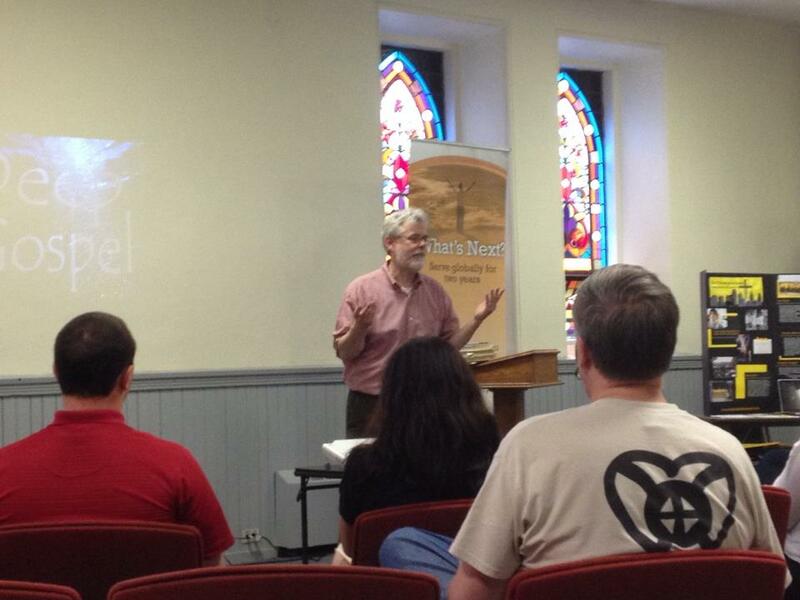 What does it mean to offer pastoral and theological insight, based on gospel truth? Why does the church not cope very well with this touchy subject? Ringing endorsements sound out on the back from Thomas Long (you know his book on funerals, I hope) and Richard Lischer and Rob Moll. Forward is by Stanley Hauerwas who notes that it helps us “recover our voices as a people taught to speak by the one who died on a cross.” It doesn’t hurt to note that Fred Craddock is a renowned United Methodist preacher and a pretty funny Southern storyteller. I ntroducing Covenant Theology Michael Horton (Baker) $17.99 Some think this to be one of the best basic studies of Reformed theology, no nonsense, serious, and built on the covenant structure of Scripture. Very impressive. When it was out in hardback it was entitled God of Promise. Horton hosts a very provocative radio talk show, The White Horse Inn, and is an intellect of considerable force. This is an important, weighty book and we’re glad to recommend it, whether you are Reformed or not… We hear a lot about being “gospel centered” these days, a good phrase. This helps us get beyond the slogan, I think. A Grace Revealed: How God Redeems the Story of Your Life Gerald Sittser (Zondervan) $19.99 We have long recommended A Grace Disguised as one of the very very best books about grief. You may know that story of a car accident that took his wife, mother, and daughter in one awful crash. This is Sittser’s beautiful, well-written story, twenty years after the tragedy described in that earlier grace-filled book, showing how God’s narrative can be written out in our lives, through good times and bad. This is story theology at its best, beautiful writing, profoundly inspiring, one of the best brand new books of the year by a man that we truly admire. It isn’t difficult reading, but it is well worth enjoying. J ust Politics: A Guide for Christian Engagement Ronald J. Sider (Brazos) $19.99 We’ve touted this as the best mid-level book, great for any thoughtful reader, on the methodology of how to develop the Christian mind for civic engagement. Very highly recommended, Biblically balanced, helpful, still very important, maybe moreso now that the election fever is subsiding. This may step on some toes as Ron is quite conservative on some policy issues, and pretty radical on others, seeking a “third way” that is non-aligned and responding to the grace of the gospel. He’s Mennonite, but influenced by the est of global thinkers, Kuyper stuff, and has been in conversation with left, right, and center views, forging a theologically sound and Biblically-informed perspective. Yay. Come on, people, you need this! E mergence Christianity: What It Is, Where It is Going, and Why It Matters Phyllis Tickle (Baker) $19.99 There have been oodles of books on the shifts in culture, postmodernism and the like, and the shifts in thinking about religion, leading to fresh expressions and various options for new ways of doing church. Tickle reads widely, has traveled among all sorts of new ministries and movementes, and she offeres here one of the clearest, most interesting updates of emergent and emergence thinkers and practitioners. The lively Ms. Tickle, a former Baptist who now is Roman Catholic, is always worth reading and this is a topic that is very relevant, no matter what sort of congregational life you embrace. A rt as Spiritual Perception: Essays in Honor of E. John Walford edited by James Romaine (Crossway) $40.00 I named this in last month’s review column as one of my favorite books so far this year, and although I am not well-versed in the history of Western art, I found it to be exceptionally insightful and very, very interesting. I recently did a somewhat more extended explanation of its wonder and significance in Comment magazine. (Do click on that, and then come back, please!) This is the best deal you’re going to find on this attractive book, full of color reproductions, printed on glossy paper — it would make a great Christmas gift for anyone interested in art history or in the contemporary interface of faith and the arts! Although most of the chapters are fantastic, I have to give a shout out to Calvin Seerveld, whose essay just sings. T he Real Face of Atheism Ravi Zacharias (Baker) $15.99 This is a more recent updating of his very early book The Shattered Visage (which, as literature buffs will know, is a phrase from Percy Bysshe Shelley’s Ozynandias.) I assume you know folks who are reading the “new atheists” and you know people who are curious about the reasons some hold to a position like this. Zacharias is eloquent and firm, offering considerable intellectual clarity and a wide awareness of many cultures. From Eastern mysticism to American cynicism, Ravi makes the case that such views finally lead to despair, and that the gospel, properly understood, is the only credible hope. By the way, much of content in these chapters were first delivered at the famous Bell Labs, in conversation with brilliant scientists and creatives. Few Christians, in my view, adequately grapple with the profound, troubling insight of Nietzsche, and this book does so, bravely. R ed Letter Revolution: What If Jesus Really Meant What He Said? Shane Claiborne & Tony Campolo (Nelson) $22.99 Look: I don’t really appreciate the whole red-letter thing — yes, Jesus is undeniably central to the Biblical narrative, but I don’t think it wise or theologically sound to put some words of the Bible in red. I don’t like red letter Bibles, even. Having said that, we are utterly irresponsible if we disregard or minimize the direct teachings of the Master. This “Red Letter Christian” movement is more than “we’re not the Christian right” (although that is part of it) and it brings fabulous energy and insight to anyone trying to live out faithful discipleship in the 21st century. You know we are fond of Shane and I’m not embarrassed to say I still think of Campolo as one of my all-time favorite Christian speakers. Here, they go back and forth, discussing, arguing, pondering, praying, — a young, radical, “new monastic,” St. Francisy, evangelical and an aging, Baptist preacher and mission-minded, social activist learning from one another. There is so much good about this book, we are happy to sell it at half off, even though it is brand new. Highly recommended. As Eugene Peterson puts it, it is “an adrenaline-producing conversation with prophetic bite.” (And, as Bono has said about it, “I don’t like all that I read in this… I think that’s why they wrote it.”) Even if you aren’t likely to join the “red letter movement” you certainly should join the conversation. Read this book. T he Spirit in Public Theology: Appropriating the Legacy of Abraham Kuyper Vincent E. Bacote (Wipf & Stock) $20.00 Not only do I love the new cover, now that it has been re-issued, but I really love Vince’s serious call to be fully Trinitarian, and not forget the workings of the Holy Spirit. He gets us there by way of the important work of old Abraham Kuyper, who not only wrote widely about the Spirit, but applied the Spirit’s work to our own work in culture and in the reformation of the arts, sciences, politics and such. Read this and you’ll realize that maybe Calvin College philosophy professor Jamie Smith shouldn’t be the only Pentecostal Kuyperian! This book is meaty but accessible, important and vibrant. Theology for the people of God, serving the world, in common grace for the common good, by the power of the very Divine Spirit who hovered over creation! T his Ordinary Adventure: Settling Down without Settling Christine & Adam Jeske (IVP) $15.00 Interested in following the fresh winds of the Spirit, no matter what? Wanting to continue on in short term missions, global concern, world travel, even if you’ve got a house, job, kids and a dog? Does settling down mean giving up dreams of adventure? Does embracing a spirited missional vision preclude a home and family, caring about ordinary life, being involved in a local place? I wish I had this book when I was 25 and I’m very glad I have it now that I’m almost 60. What a story! You’ll enjoy this travellogue of young, hip missionaries, who also long for an ordinary home. Can we settle down, without settling? Spread the word about this great new book. A Year of Biblical Womanhood: How a Liberated Woman Found Herself Sitting on Her Roof, Covering Her Head, and Calling Her Husband ‘Master’ Rachael Held Evans (Nelson) $15.99 I hope you have read A.J. Jacob’s Year of Living Biblically, which is better written and funnier than almost any Bible study book I’ve ever read. Clearly, Evans is derivative here, standing in this proud tradition of “try it out” journalism. (Does anybody remember George Plimpton, the reporter who actually played pro football for the Detroit Lions in order to write about it? I loved that book!.) So, here she is, clever and funny and offering her take on the perplexing number of perplexing things in the Bible about women. If you want a sober and solid study of hermeneutics, this ain’t it. If you want a memoir of a year-long experiment, clever and insightful, by an up-and-coming, progressive young evangelical writer, this is great. Enjoy! T he Center Church: Doing Balanced, Gospel-Centered Ministry in Your City Timothy Keller (Zondervan) $29.99 I know it is a textbook. I know it is for church planters. I know it says “in your city” right there on the cover. Forget all that — this is one of the best books on missional thinking, cultural engagement, congregational life, and how the gospel of grace shapes how we do contextualized ministry in our particular place (whether you’re an urban church planter or not.) It is handsomely produced (with two color ink and useful sidebars and a brilliant chart or two), very thorough, has questions for discussion, making it ideal for (serious) book groups, ministerial cohorts, or personal reflection. Of course pastors should own it, but I think it is good for any church leader. There is so much goofy stuff about church life these days, this will be a good baseline, a mature marker, a solid standard. This is a tremendous book, and I truly hope the word of it spreads. Getting a few at half price this week only may help you — why not give it to your pastor or church board or campus minister or seminary student? Heck, get it for yourself. You’ll be glad you did. We will gladly now offer these titles at 20% off.